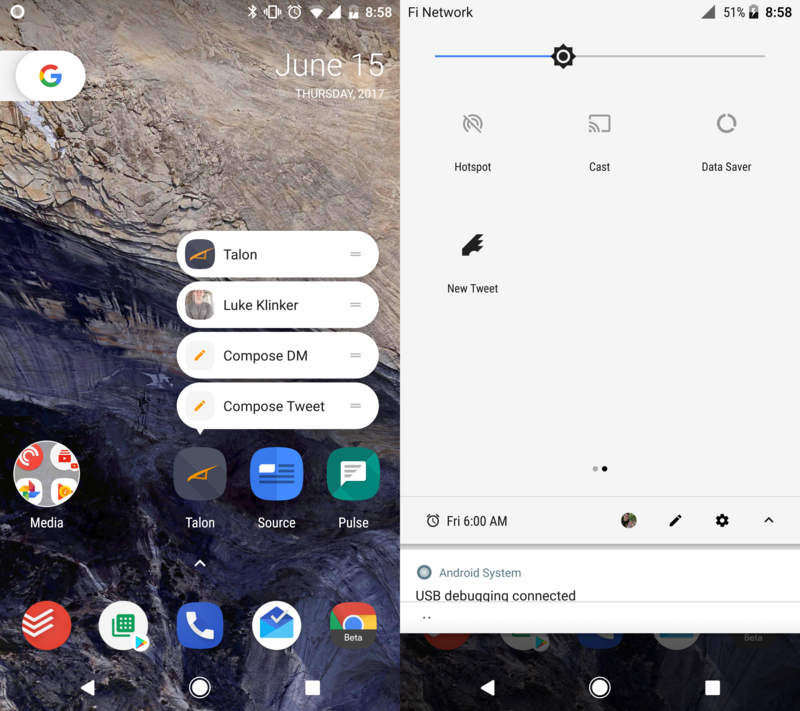 Last week, I put out an initial beta for Talon, that included support for Android O. I am happy to announce that that version is rolling out to everyone, this morning. Grab the new update, on the Play Store! In terms of Android O, you now get full support for the adaptive icons and notification channels. The latest version of Android also forces a ton of changes for apps, in the background. Those required changes had been rolling out to Talon users over the past few months. If you have used my work in the past, you know I started building all my apps for Android O when the first developer preview was released. I was one of the crazy people who flashed it on their primary device... I felt like it was part of my duty to ensure my work is constantly supporting the latest and greatest. Enjoy the update 'all, and sound off in the comments with any feedback or things you would like to see in Talon! Next up for Android O will be Pulse SMS, which is nearing the end of it's beta testing as well!